‘The Kala Lawyers’ is a well renowned team of law associates known for their focused and dedicated hard work, intelligence, client counseling and excellence in the field of law. The founder, Respected Advocate Late Shri Mohan Lal Kala, born in 1941 was a self made man, born and brought up in Jaipur. His journey from Jaipur to Jodhpur was not an easy one and was filled with struggles and challenges, but no amount of challenges could have stopped this man from carving his road to Jodhpur where success awaited him. 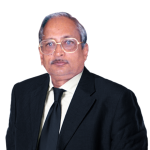 In 1973, he started his practice as a lawyer in Rajasthan High Court and its subordinate courts in Jodhpur. His professional brilliance in dealing in all the aspects and branches of law, may it be matrimonial law, civil, criminal, service & misc. 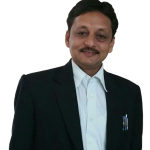 writs, industrial law, arbitrational law & also CAT cases soon established him as one of the eminent lawyer in Jodhpur. His professional achievements were acknowledged and awarded with a Certificate of Gratitude by the Central Administrative Tribunal in its silver jubilee. He made a mark in matrimonial cases with his high rate of success. His book ‘Hindu Marriage Act 1955’ published in 1987, has proved to be of great assistance not only to the busy members of bar, and the bench but also litigants. Another books written by him includes, ‘Digest of Rajasthan Criminal Cases 1976-1985’ and ‘Compendium on overruled-reversed-dissented cases from 1950 to 1990’. He was also Chief Editor of Law Journals namely ‘Writ Law Reporter’, ‘Rajasthan Judgments Criminal’, ‘Rajasthan Judgments Civil’. Some cases fought by him have become landmark cases, and he was also involved in delivering reportable judgments’. His contribution to the field of law has been unconditional and an inspiration and guiding light for all future lawyers. It is next to impossible to draw words regarding the life of this great and versatile man and to sum up his achievements and contribution in the field of law. He was a man of words and commitments who was full of confidence, he was a thorough gentleman in every sense and his kind smile and politeness was a blessing to the lives of all he touched. 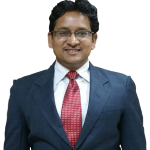 Dr. Shailendra Kala pursued his degree in B.Com. , D.C.Cr & LL.M. He completed his research work in the subject ‘Cruelty as a ground for divorce under Family Laws in India in Matrimonial Disputes‘ in the year 2002 and was awarded with a degree of Ph.D. He is a man of excellence and has been continuously and successfully practicing in Rajasthan High Court, Subordinate Courts & Family Courts of Jodhpur since 1994. Anuj Kala completed his education with degrees like B.Com., C.A., C.S. & LL.M. A man of knowledge and brilliance, he is also continuously practicing in Rajasthan High Court and Subordinate Courts of Jodhpur since 1998. Their father has been a torch bearer to them and has guided them through thick and thin. They now are successfully carrying the wisdom, knowledge and industrious attitude towards work, forward with pride and dignity. They have embarked their names in the field of law and the corridors of courts much like their father. They have not only dedicated their lives to this field but also have put in their souls in every case and every person who came by…AND THE LEGACY CONTINUES.